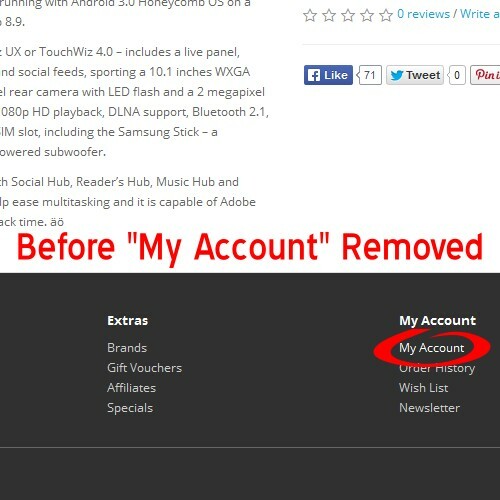 The "Remove My Account From Footer" module removes "My Account" from the footer of the website. VQmod is not required. Please note that it has only been tried with the Default theme. (2) Extract the XML file from the ZIP file. Do not rename the file. (3) Log in to your Admin area and go to "Extension Installer". (4) Click the "Upload" button and locate the extracted XML file and select it. 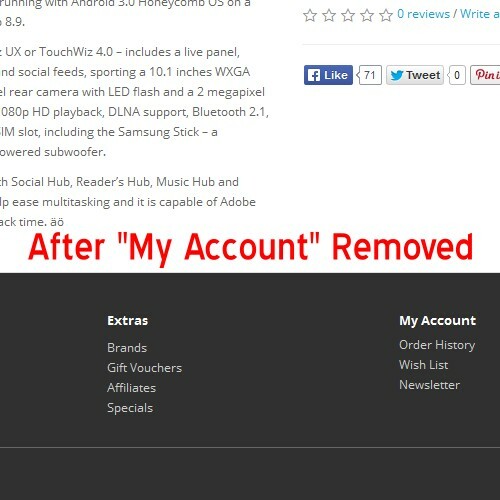 (6) Go to "Modifications" and click the "Refresh" button in the top right corner. 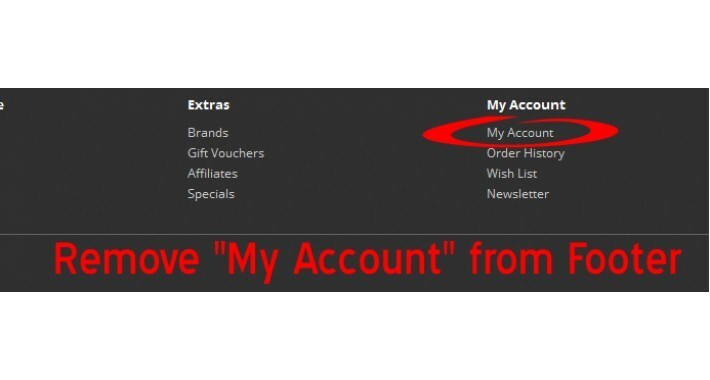 (7) Visit your site and the "My Account" will be gone.